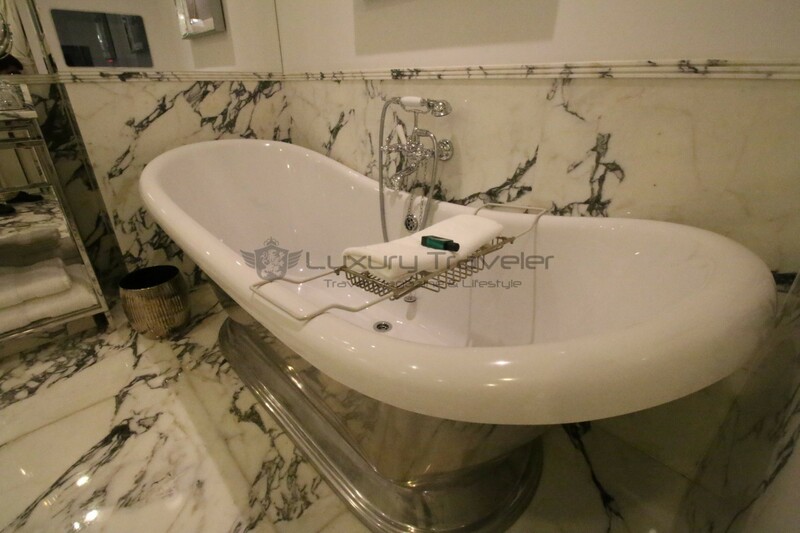 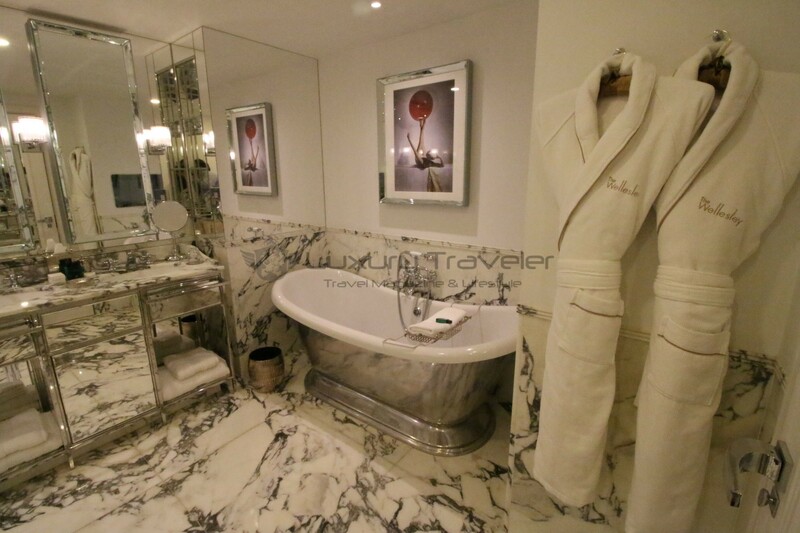 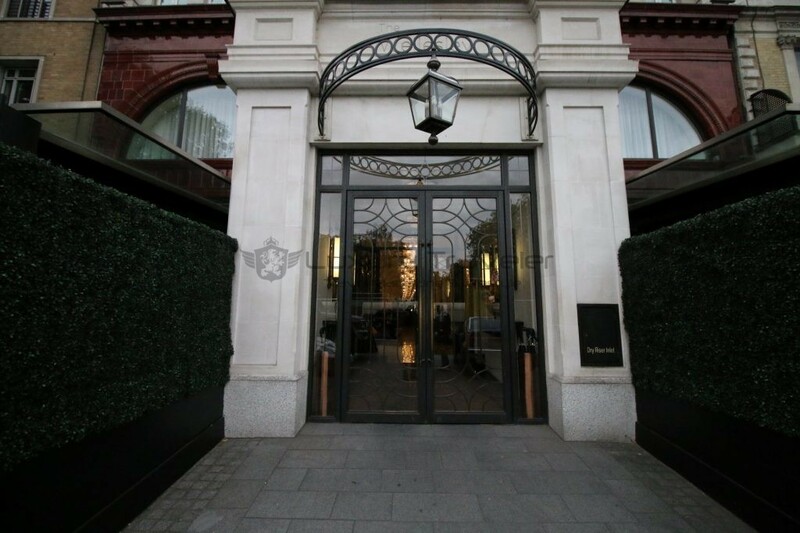 I have been a couple dozen times to London, and have stayed at some very nice, luxury hotels, and decided last time to give a try to The Wellesley, considered to be the most luxury boutique hotel in London. 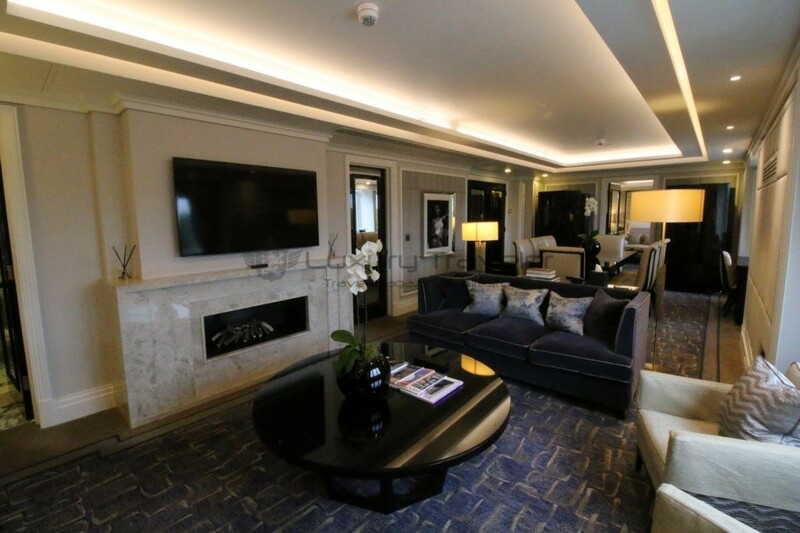 The Wellesley is set on a 1920s building, beautifully restored with a modern take on the Art Deco style, with the most luxury decoration and amenities, opened last 2012 after a complete renovation, that cost only 36 million British pounds (GBP), something like 50 million USD in 2012. 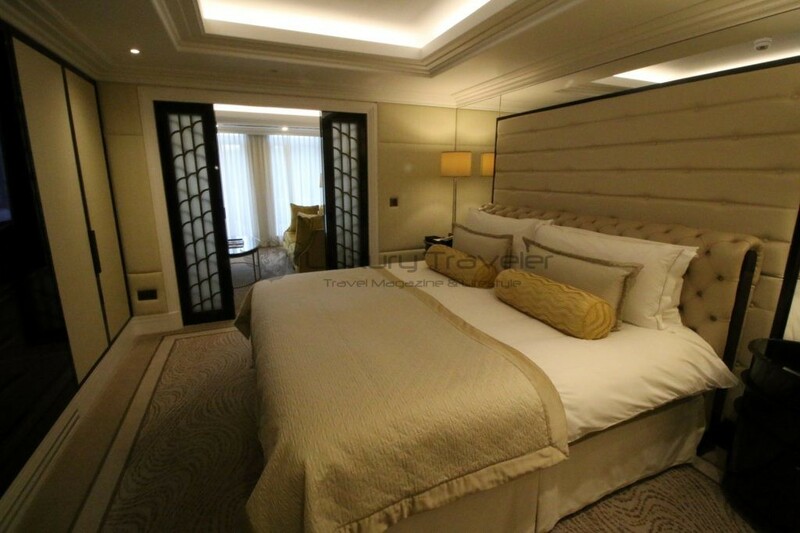 This outstanding boutique hotel was built to be the first 6-star hotel in London (if ever there was any 6-star rating), featuring only 36 exclusive rooms and suites, hosting the biggest hotel suite in London and having the most expensive cigar bar in Europe, worth £2 million GBP. 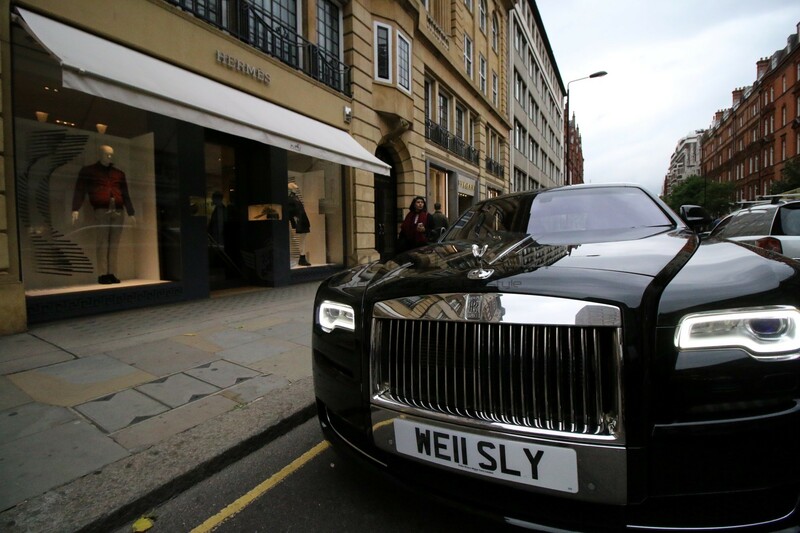 The Wellesley is located in the most popular area of Knightsbridge, overlooking Hyde Park, and it’s found walking distance from Harrods, Belgravia and Mayfair. 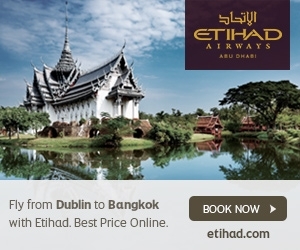 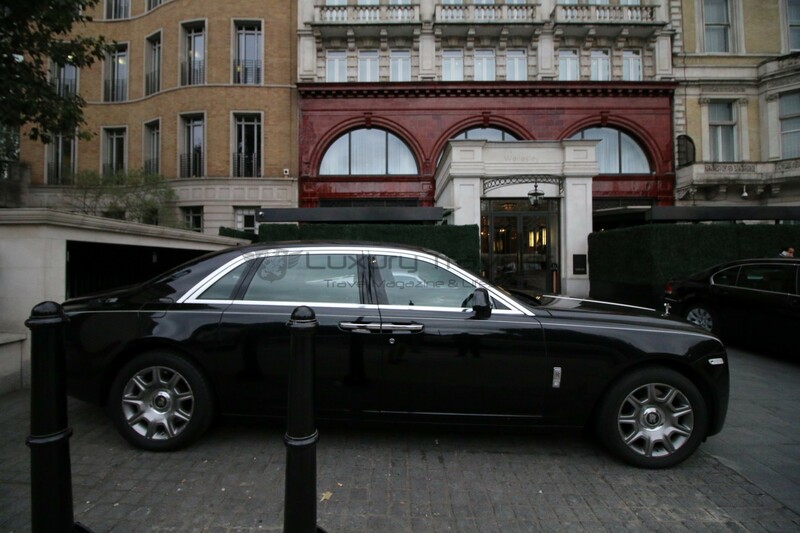 – Chauffeured driven Rolls-Royce Complimentary service for guests, up to 3h. 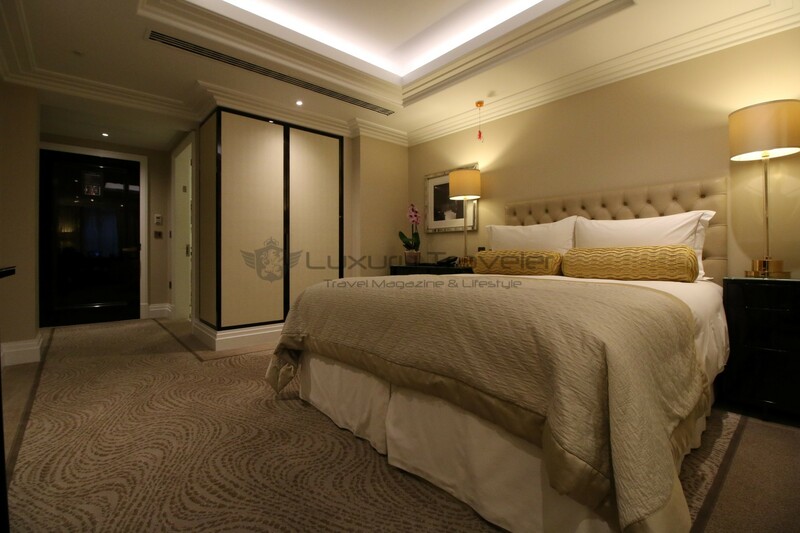 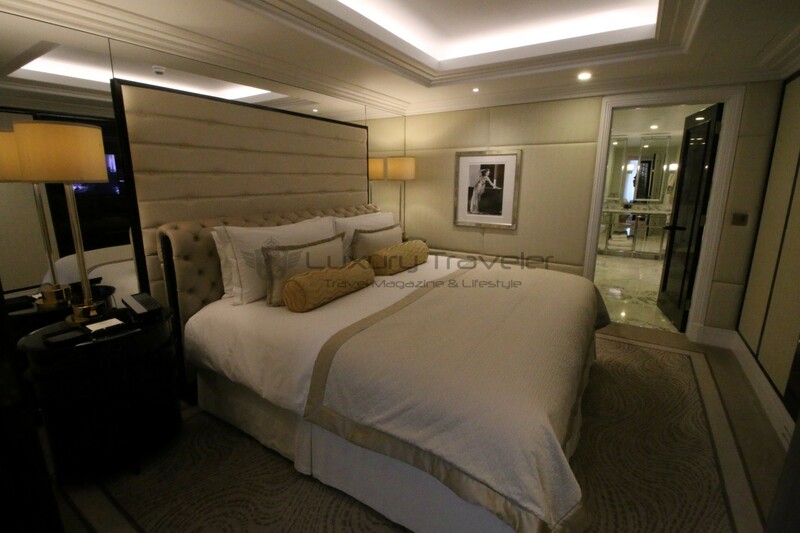 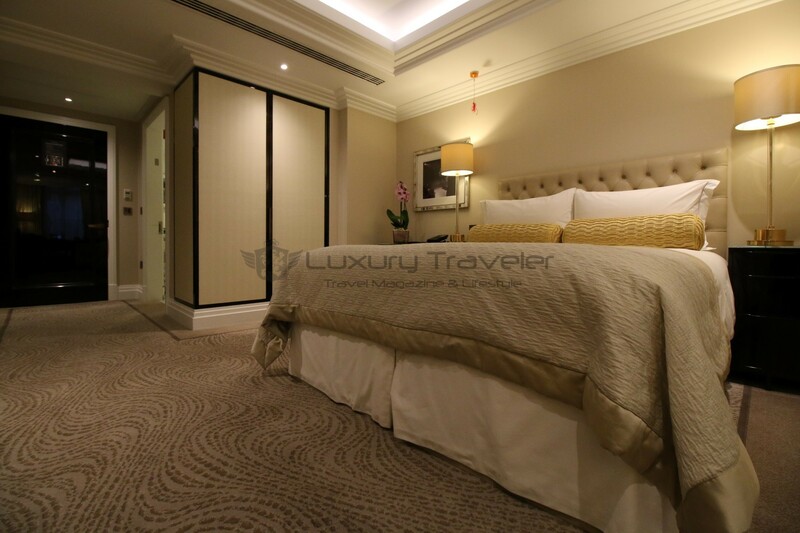 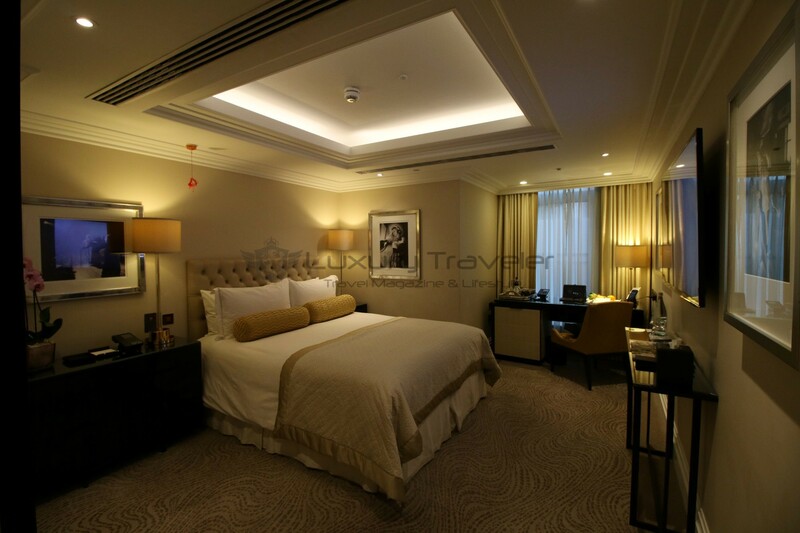 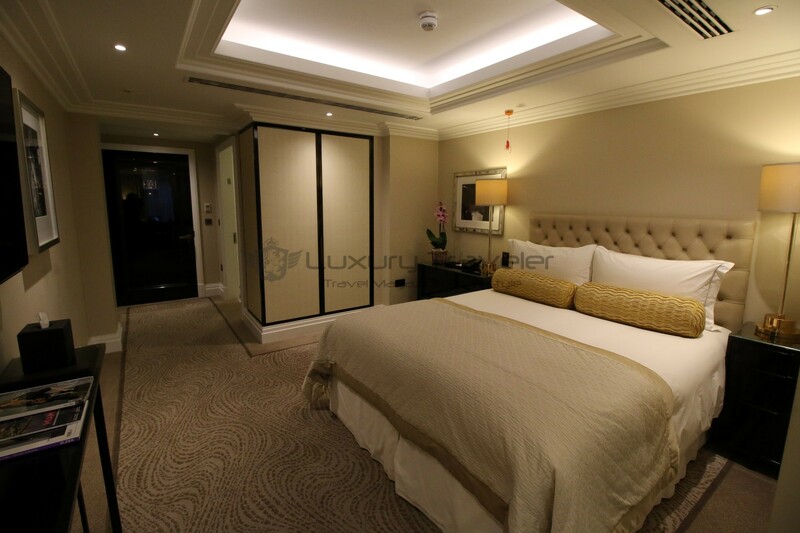 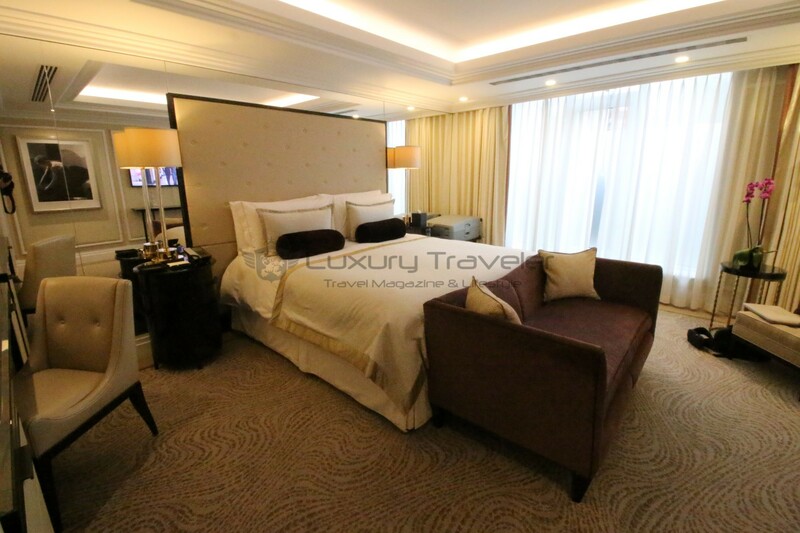 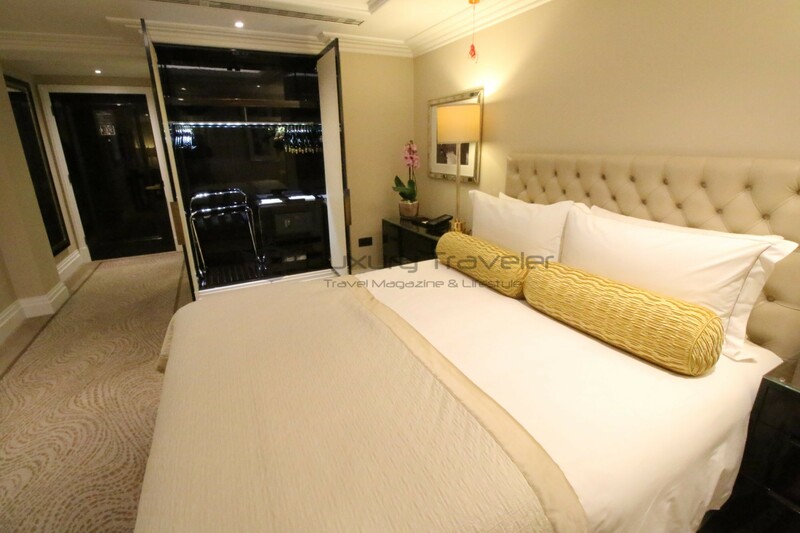 I had different rooms to try during my stay, starting with the Deluxe King Room followed by the Executive Room. 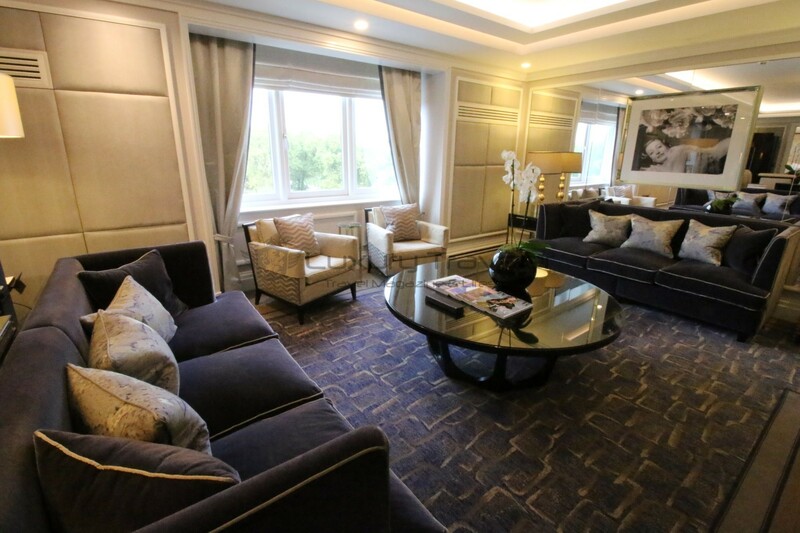 With opportunity also to the visit the amazing suites at The Wellesley, and of course the unbelievable Wellesley Penthouse, one of the best in London, for very exclusive guests. 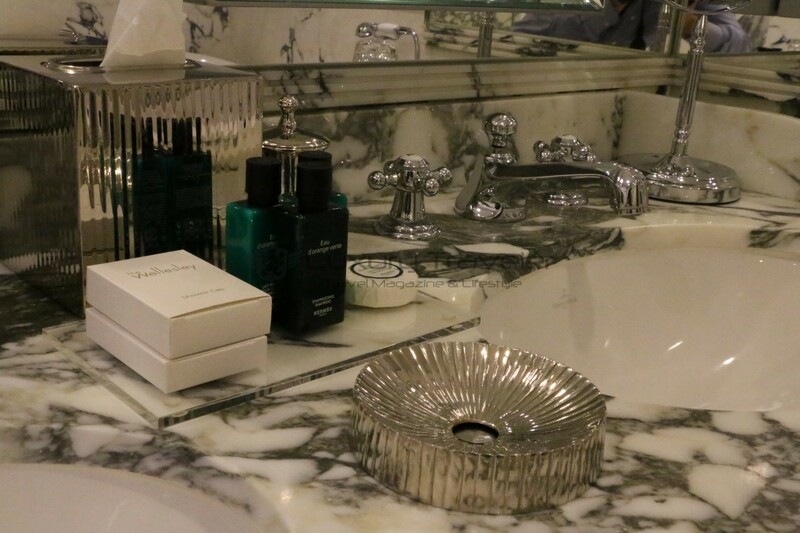 Part of my job is to make a full, extensive report of all hotel amenities, and that includes covering the most important rooms of the hotels I visit during my stay. 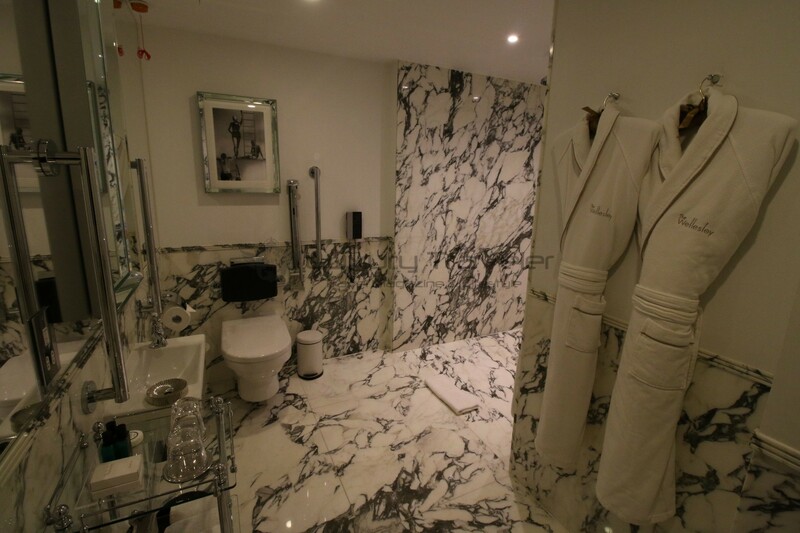 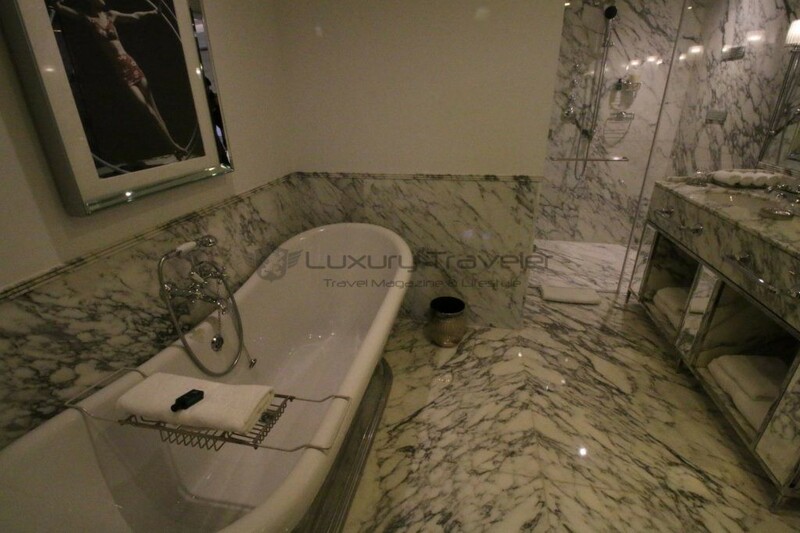 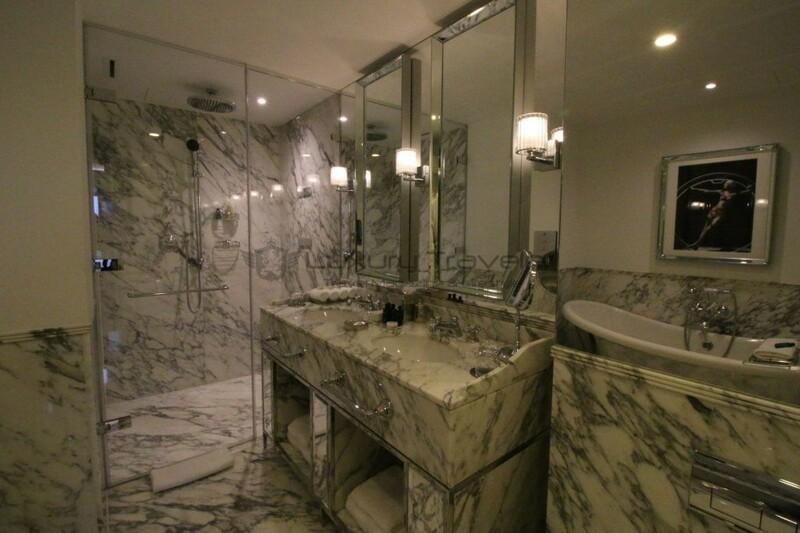 All the bathrooms feature Hermès amenities and televisions recessed into mirrored wall. 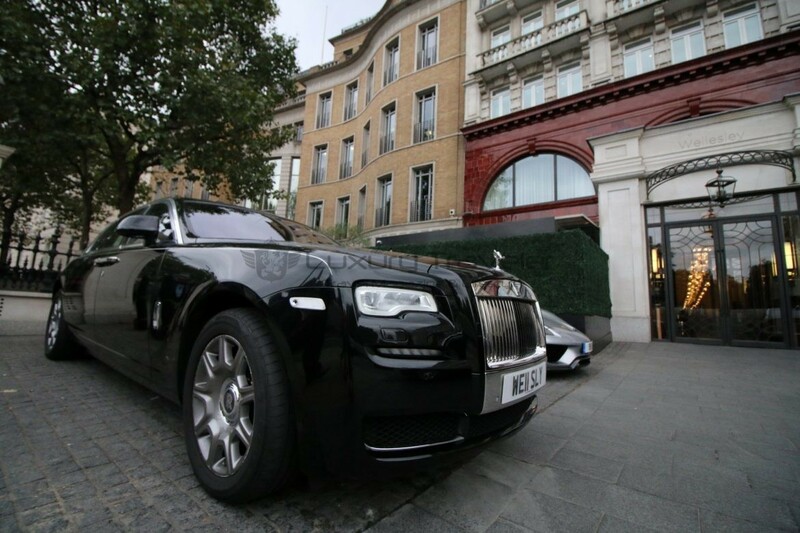 One of the most exclusive things they have is a complimentary Rolls Royce Service for their guests. 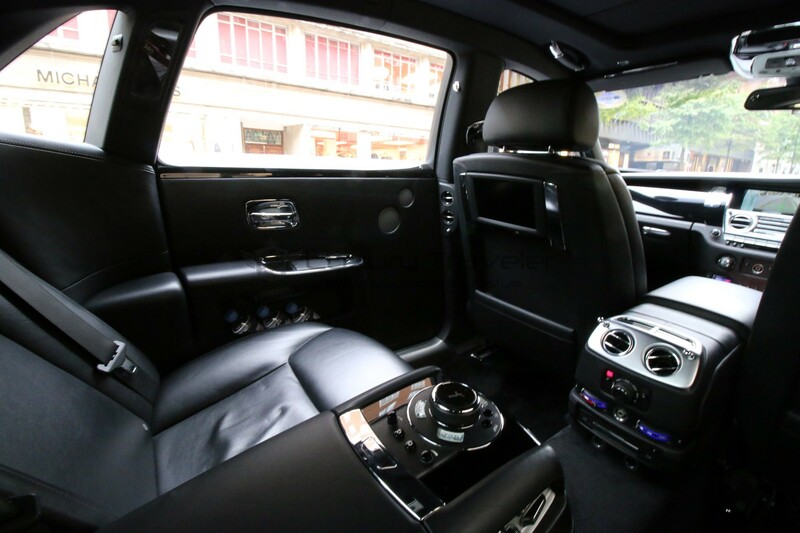 And you imagine, always fully booked because everyone else will want a ride.. WRONG! 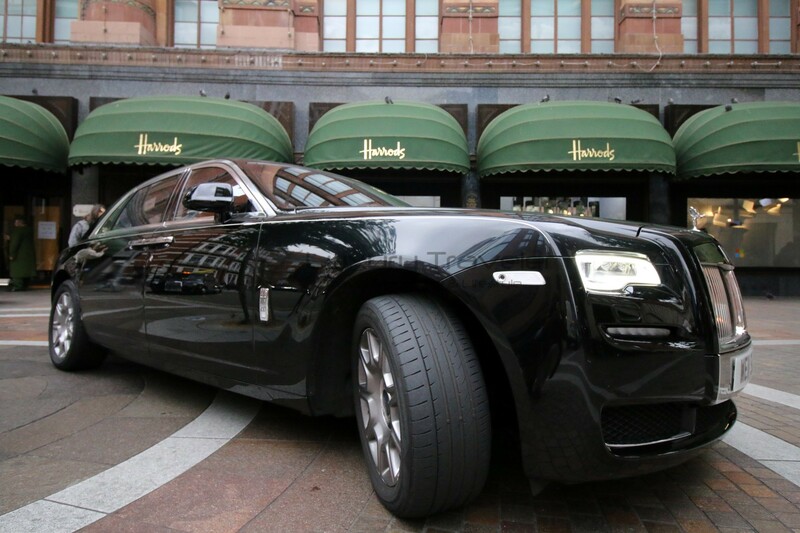 Customers who stay here have usually their own luxury car and chauffeur, so I saw most of the times the beautiful Rolls Royce Ghost available at the front door. 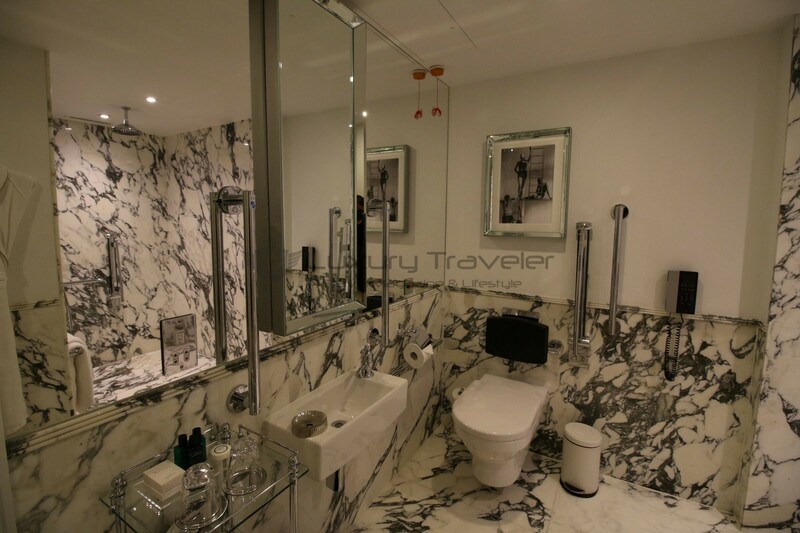 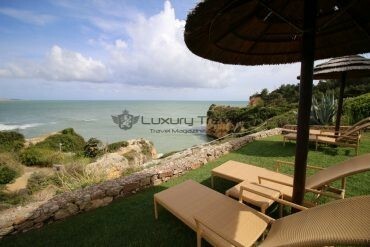 This service is free for all guests, up to 3h service within 1.5 miles range from the hotel. 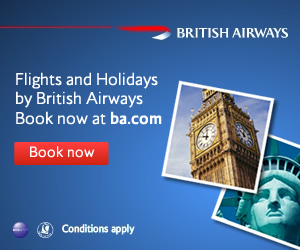 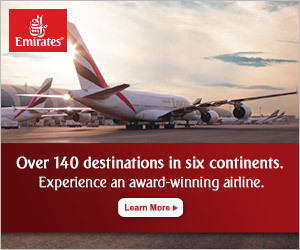 That includes a lot, Harrods, Belgravia, Royal Albert Hall, Natural History Museum, Victoria and Albert Museum, Hyde Park and Kensington Gardens, Buckingham Palace, Mayfair, and much more! 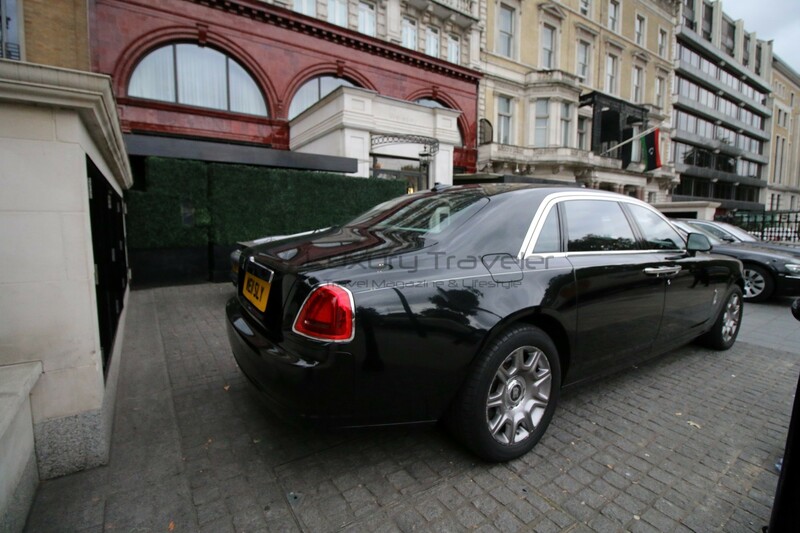 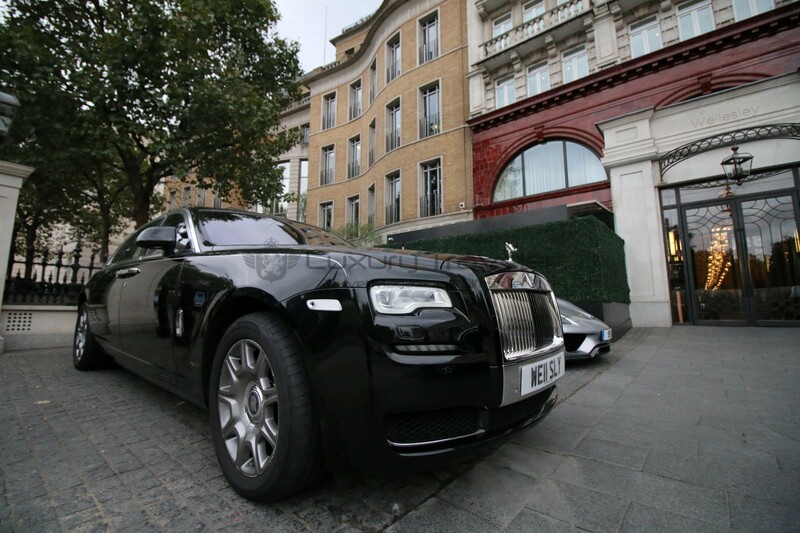 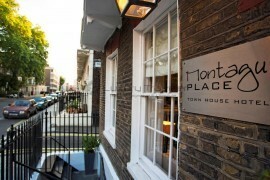 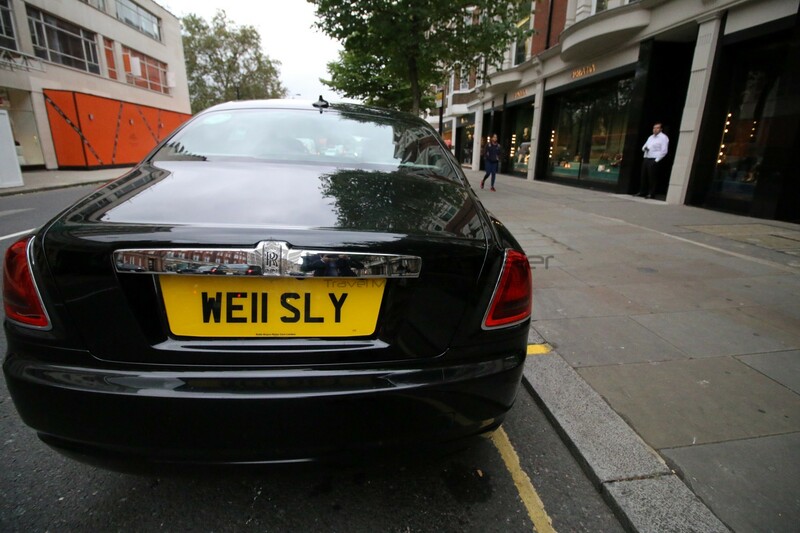 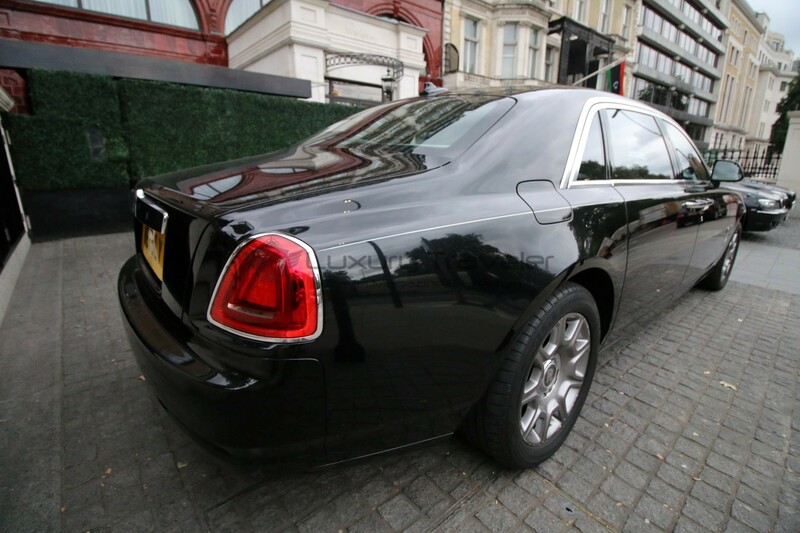 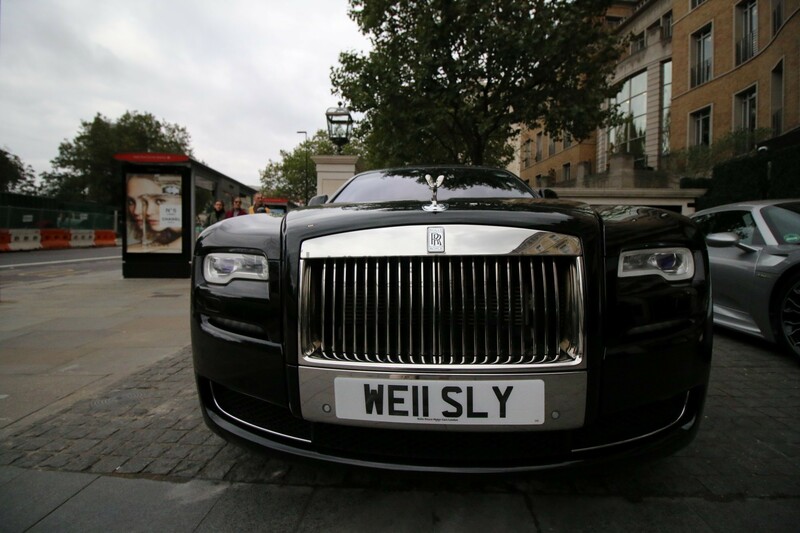 It’s a top notch service, a must for most guests, who don’t have their own Rolls Royce….! 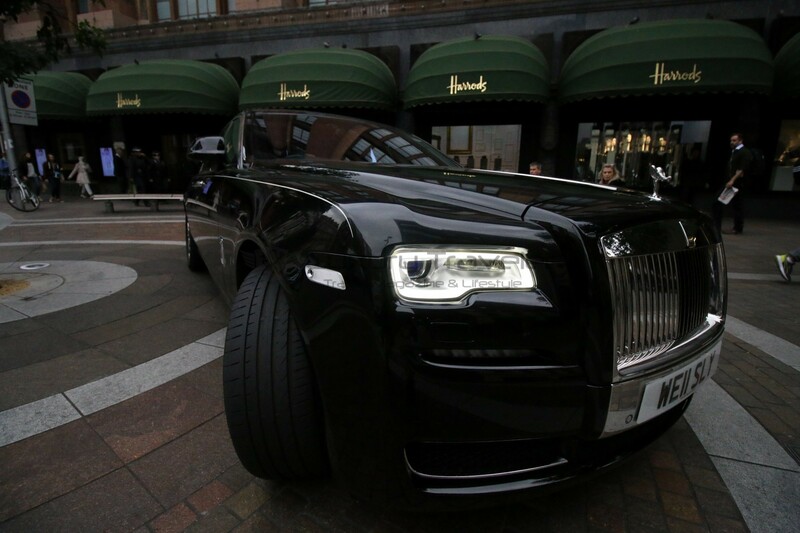 Had the opportunity to go shopping to Harrods, with some stylish stops nearby at Prada and Hermes. 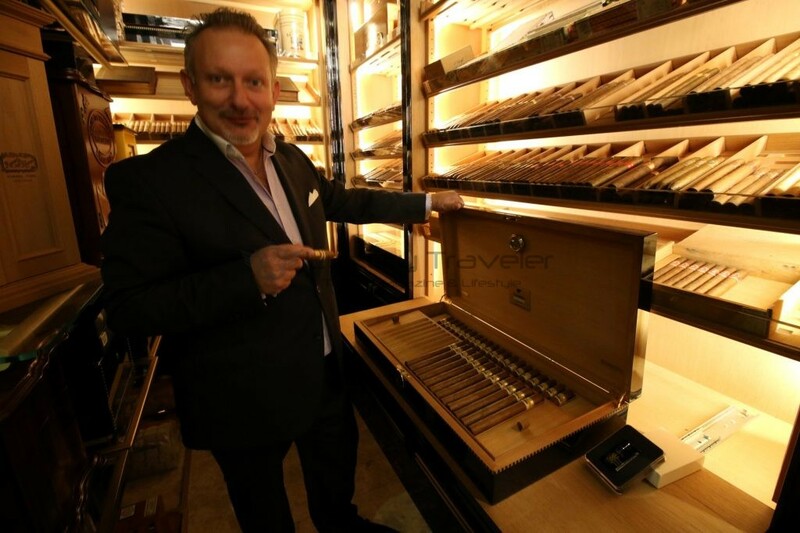 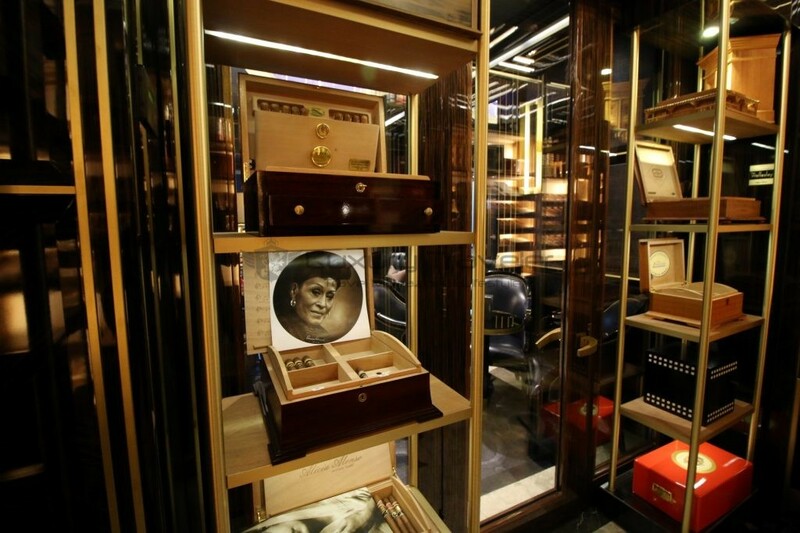 Again the cigar room photo coverage below, one of the main attractions of the hotel, specially for male guests and succeeded businessman who visit London. 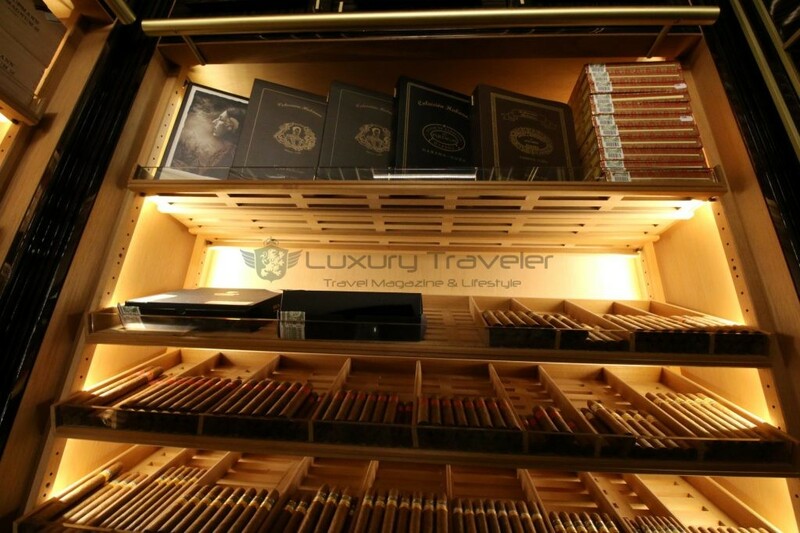 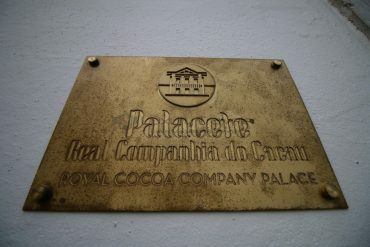 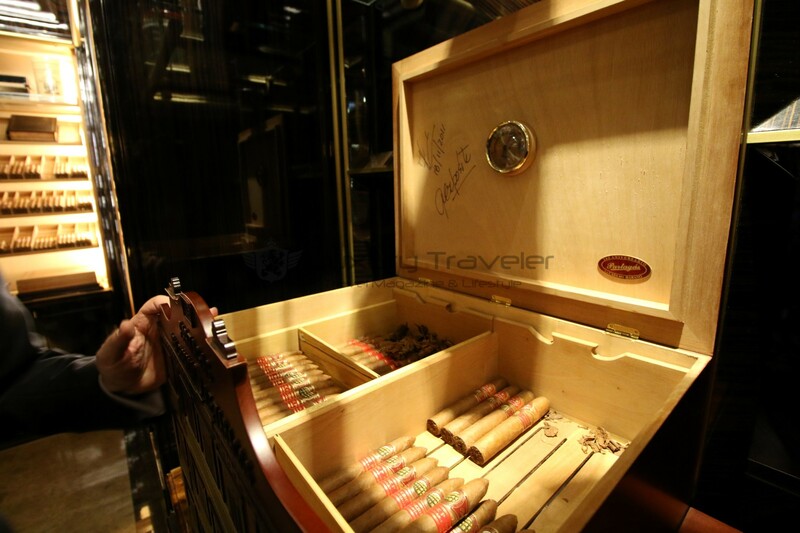 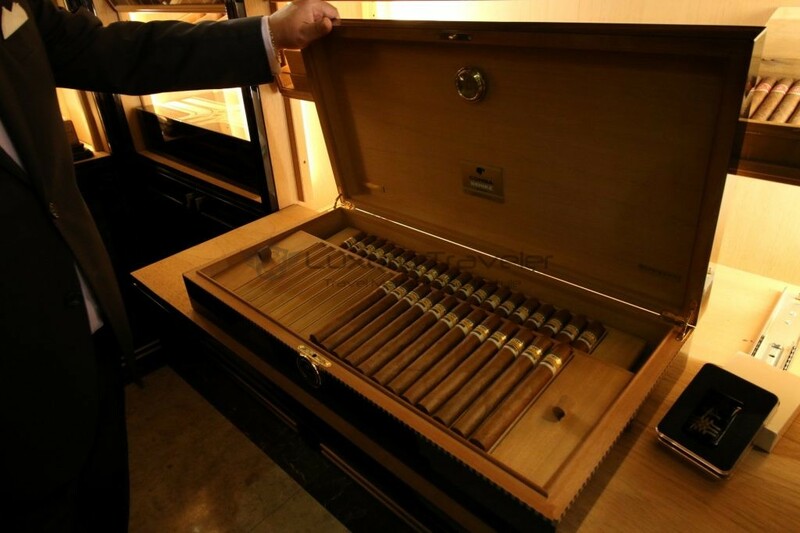 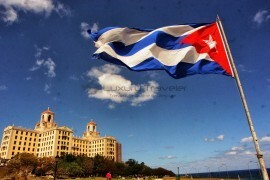 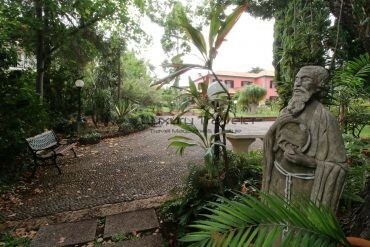 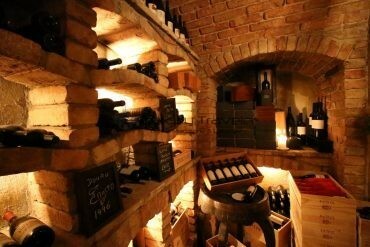 There is a big percentage of guests also visiting the cigar bar from the exterior, without staying hosted at the hotel. 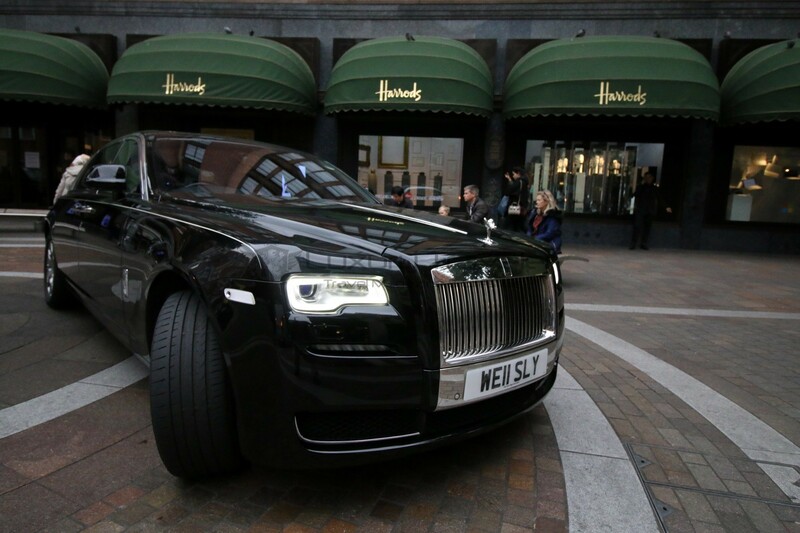 Really impressive! 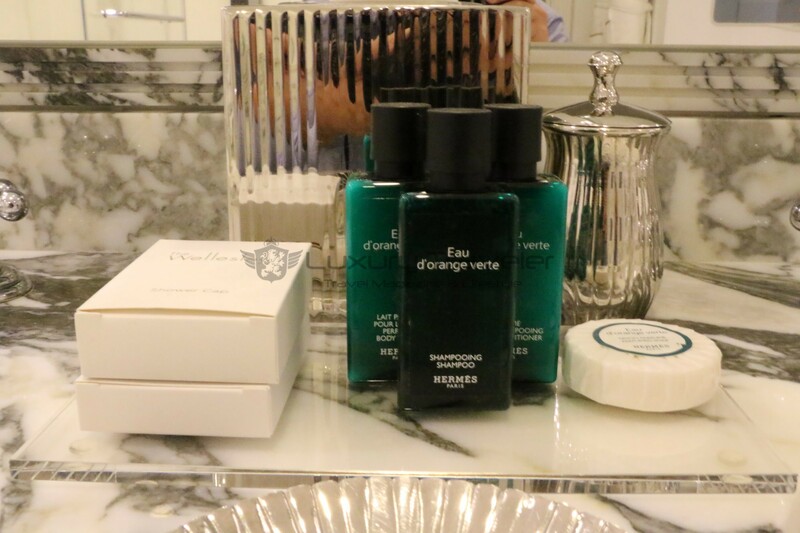 For all the reasons listed above, there will not be difficult to finish by saying that The Wellesley Hotel is for sure the best luxury boutique hotel in London, and for sure one of the best I have ever stayed. 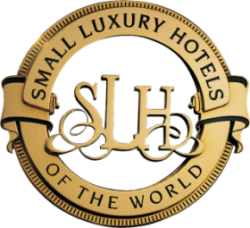 A special thanks to Andre, the Front Office Manager for all his assistance and professionalism on assisting my requests, and also to all hotel management team, including Patrick for all his assistance on my detailed requests. 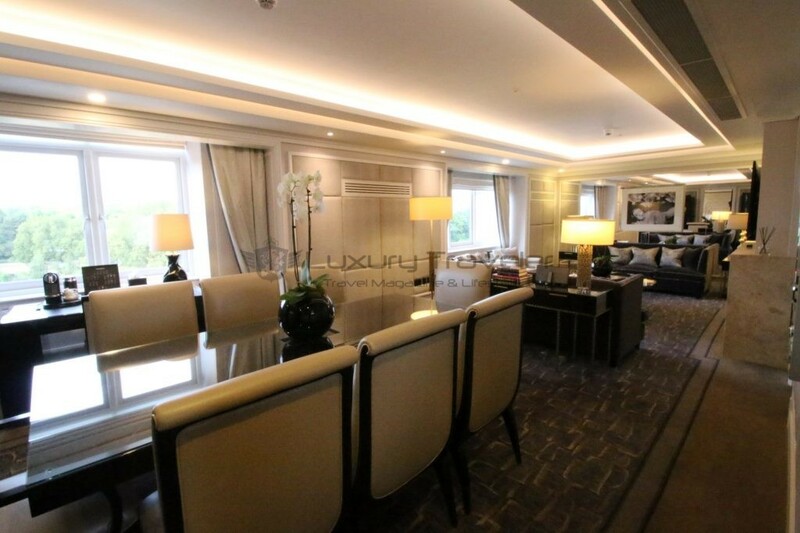 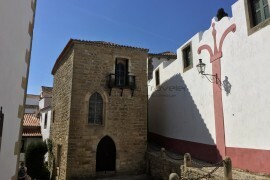 The prices for The Wellesley vary from 350GBP to 1500GBP, depending on the chosen room and the season, plus the penthouse that can easily go above 5000GBP per night depending on the chose configuration.